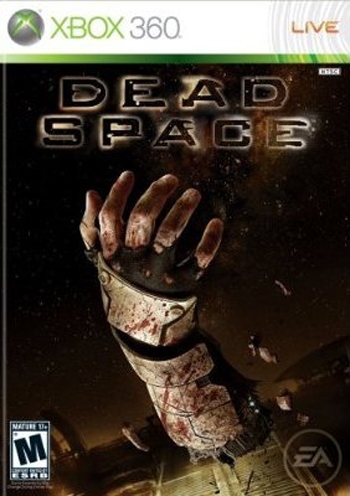 Dead Space is a sci-fi survival horror game set in the distant future where mankind has mastered space travel and the art of ‘planet cracking’, a process which allows for the harvesting of key resources from various planets scattered across the universe. The process of planet cracking is completed by massive spaceships (think more Battlestar Galactica than Star Trek). One such ship is the USG Ishimura. The Ishimura recently lost contact with the rest of the fleet and so a small maintenance ship is sent to investigate – you follow the story of the crew of that maintenance ship, controlling Isaac, the systems engineer. Needless to say it quickly becomes apparent that something has gone drastically wrong on board the Ishimura. It appears that an alien race of some kind has somehow invaded the ship and culled all of her crew. And that’s about where the story stops getting interesting. 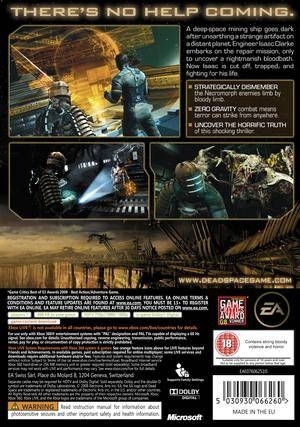 As a fan of many of the great sci-fi shows of recent years, the premise of Dead Space was instantly appealing – a huge, eerily abandoned spaceship floating adrift, overrun by aliens, her crew missing and your team stranded on board. Unfortunately, however, the story never goes where you want it to go. After the first hour or so it becomes completely uninteresting and gets ever more ridiculous and irrelevant – something to do with an alien relic, a hive mind, a predictable betrayal and a fanatical religious group. There’s also a tedious sub-plot revolving around Isaac’s girlfriend and some extremely clichéd dialogue. I’ve completed the game twice now and I still don’t fully understand the overarching plot, perhaps because I never really wanted to once disappointment set in, or perhaps it was because the overarching story never actually has any bearing on the direction of the game. You basically travel from one part of the ship to another, and then back again, repairing things and dealing with an annoying saboteur. And yes, I’m referring to backtracking there. 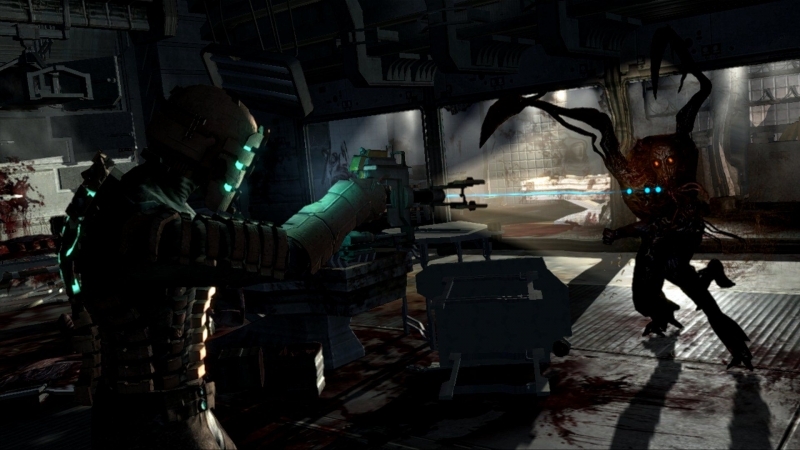 There’s a lot of backtracking in Dead Space. 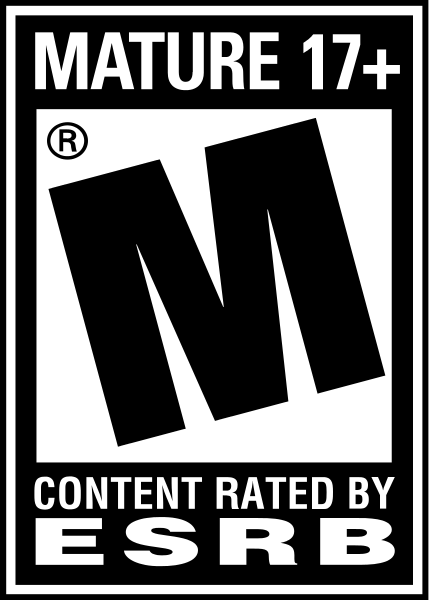 Your first play through should probably take you a good 12-15 hours depending on your ability level and the difficulty setting, but there’s a heck of a lot of filler in those 12-15 hours. Ultimately the backtracking only serves to detract from the game, and story aside, it’s probably the worst part of Dead Space. Cut out those 2 or 3 hours going over the same ground and you have a much better game on your hands. My criticism of the graphics is actually remarkably similar to that of the plot. Within the first 30 minutes or so there’s a promise of potentially great things, and although the graphics never become as big a disappointment as the story was they never quite live up to their initial promise either. There’s a cut scene at the start of the game where you basically look in-game as the maintenance ship approaches the Ishimura. It’s such a beautiful scene and it really grabs your attention – the light radiating from the sun is stunning as it almost blinds you depending on the angle at which you face it, the Ishimura is huge and impressive, drifting amongst massive chunks of rock that used to be a planet. As soon as you step onto the Ishimura you’re reminded of its sheer size. You’re stood on a massive walkway leading to the entrance, and you’ll probably find yourself pausing momentarily to take in the huge scope of your surroundings, and the game - to its credit - allows you to do this. Unfortunately those stunning vistas and shockingly beautiful graphics are only ever encountered once or twice in the game (albeit several times over, given the game’s tendency for backtracking). Granted, I didn’t expect to see these stunning graphics when I first played the game. 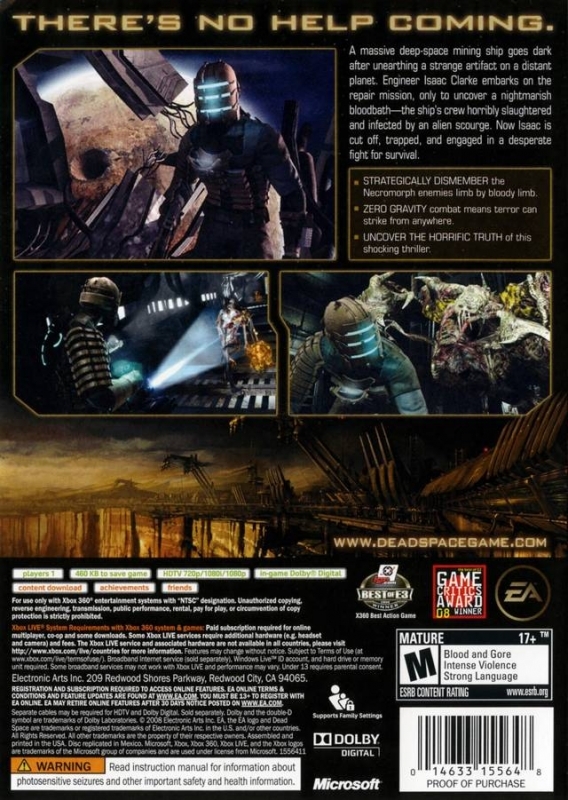 Granted also, the graphics throughout the rest of the game are still up there with some of the better games currently on the market (also note that Dead Space is technically superb – I didn’t experience any graphic glitches or inconsistencies). But the opening scene was full of so much promise that I instantly raised my expectations. Most of the game takes place in corridors or medium-sized rooms, and whilst this does create a semi-realistic impression of what it might be like inside one of these ships it also makes the game feel too repetitive – one corridor looks like any other corridor, one small side room full of supplies looks like any other small supply room, and so on. On the plus side the developers have managed to create separate and graphically distinct areas of the ship. As you travel around the ship repairing things you do get a sense of being in genuinely different parts of a ship – the engineering deck looks grubby and oily, whilst the medical and hydroponics decks are much brighter, and when not covered in blood and guts the whole place looks pristine and sterile. Although I was never convinced that this was much more than a different shade of paint, it was nevertheless a welcome change of scenery. The sound effects help to create a realistically haunting ship too. You’ll hear loud clinks in the distance, air vents releasing streams of air, the stomp of your boots on the floor, the flickering of the lights and sparks of broken equipment. Then you get the sound effects from the aliens themselves. 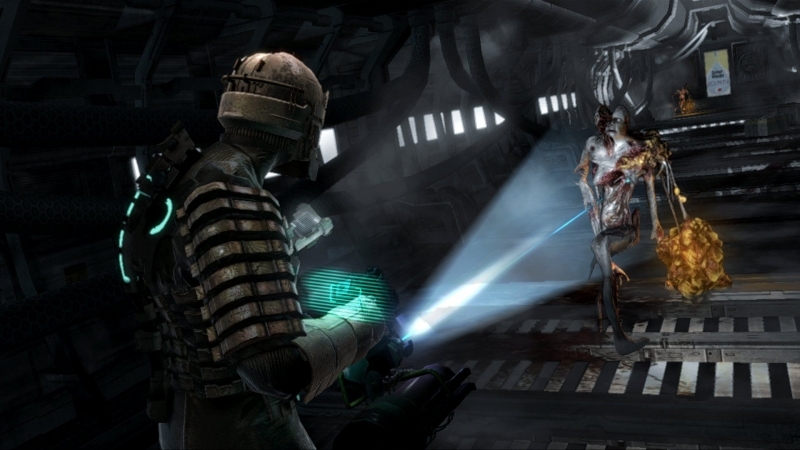 Like many modern ‘horror’ films there are many moments in Dead Space where you will be startled, particularly when you first start playing the game. The aliens will catch you off-guard or by surprise and there’s a sudden loud noise to go with it. Sure, it’s cheap horror, but it’s done well. Finally there’s the dialogue and voice acting. Whilst the voice acting is pretty good and the lines all sync up superbly with the facial movements of the characters in the game, the material the actors are given to work with matches the many predictable and clichéd elements of story itself. The gameplay is solid and polished. Anyone that has played Resident Evil 4 will be instantly at home here. There’s the familiar 3rd person over-the-shoulder camera angle, the clunky movements of the Isaac (which can be upgraded to a certain extent as you progress), the tactical advantage of aiming for the extremities or head, a fair bit of backtracking, and even a similar (although slightly improved) method of buying, selling, storing and finding items (the barrels even make a comeback in the form of boxes that seem to resemble the original Xbox console). 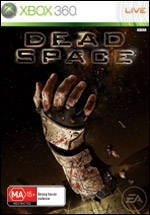 Dead Space is more action/horror than Resident Evil 4’s action/survival though. Dead Spaces’ atmosphere is much more imposing and impressive but unless you’re playing impossible mode you’re unlikely to ever run short of supplies or save points. The enemies you encounter are pretty varied and the different types all have slightly different tactics, although as you would expect there is one main ‘grunt’ enemy that just runs and lunges straight at you, so your main focus is usually on taking out its legs in order to slow it down. My favourite aliens are the ones with huge orange deformities that look like huge sacks of puss, which if shot cause a massive explosion (see screenshot below). There’s much fun to be had attempting to gather a group of aliens around these guys so that you can kill them all in one shot. There are annoying enemies as well though – the tiny bugs that swarm around you and cause Isaac far too much damage were particularly annoying. As you can imagine there’s plenty of gore – you’re constantly shooting off appendages and, if you’re an achievement/trophy hunter, you’ll be stomping limbs off many of the corpses you come across in order to quickly rack up those limb dismemberments. There are more subtle touches of horror and gore as well – there are messages written in blood on the walls and you frequently come across audio and video journals that piece together some of the story. The pieces of equipment you acquire during the game can be upgraded at work benches – all of your weapons, your health, stasis and oxygen meters can be upgraded by inserting ‘nodes’. You’ll find plenty of nodes along the way, and you can also buy them from the store, but there aren’t enough to fully upgrade everything in one play through (it takes roughly 1 ½). And yes, that means all of your gear and upgrades can be carried over into a new game once you’ve completed the game, although unfortunately you can’t transfer them from one difficulty to another (so no, you can’t max everything out on easy to make impossible slightly easier). The HUD in Dead Space is somewhat unique and worth mentioning briefly. Everything is displayed as a holographic projection. 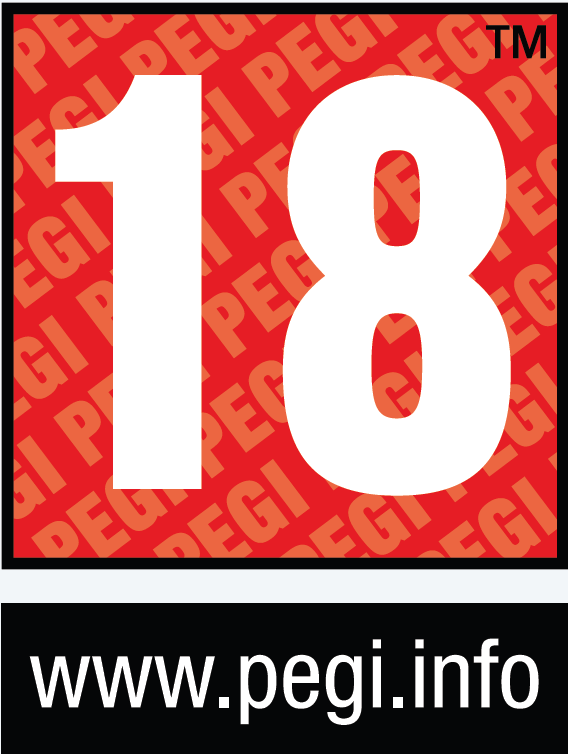 Your health (represented by rectangular shapes down Isaac’s spine), ammunition (projected from the guns themselves), stasis and air (on the back of Isaac’s suit), video logs and communications (projected in front of Isaac’s face), and even the game menus and ship control consoles. This leads to a greater level of immersion, not only because it’s more realistic than the HUD in most games, but also because you can always be attacked at any time, no matter which menu you’re in. I must stress that this is never actually annoying though – it works perfectly because it’s extremely easy to get out of all of the menus. All you have to do is press the aim button and menu will vanish and your weapon will pop up straight away. 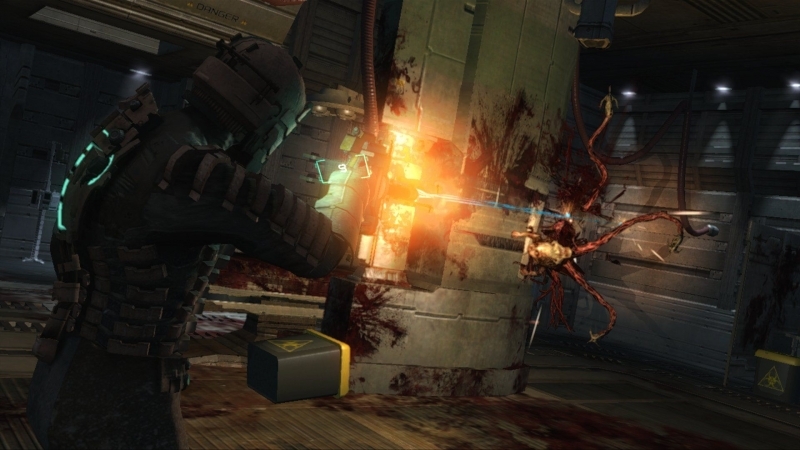 Dead Space borders impressively between ‘good’ and ‘brilliant’, but I was never left feeling it deserved to be described as excellent beyond the first hour or so of play. 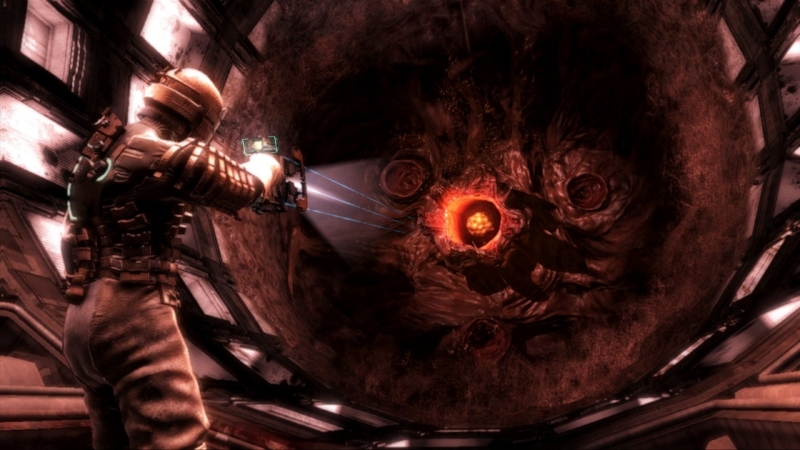 Dead Space is undoubtedly a good game, but one filled with promise of much more than that. 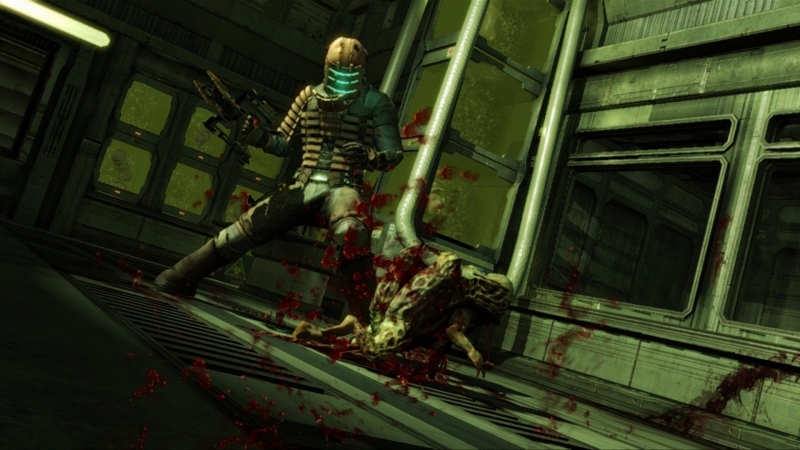 A dreadful story, gameplay that was slightly too repetitive, tedious and unnecessary backtracking, and too many dreary corridors all combine to let Dead Space down slightly. 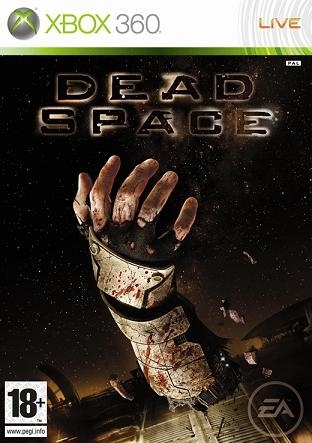 But solid graphics, great lighting, holographic HUD, some stunningly impressive vistas, an eerie atmosphere and an addictive Resident Evil 4-esque style of gameplay make Dead Space a game that I can recommend, and I eagerly await an improved sequel.